Sweltering inside your car while traveling due to a malfunctioning auto AC unit can be extremely uncomfortable. The answer to ensuring that you are cool and comfortable in your car at all times, is regular auto air conditioning service in Marysville completed by professionals. An auto AC works much like a refrigerator so that even if it’s hot outside, inside your car you feel cold and comfy singing to your favorite music as you drive down the highway. Compressor, refrigerant, condenser, expansion valve, evaporator and receiver/dryer are the composition of a car AC. The compressor pressurizes the refrigerant to send a signal to the condensing coils. If any of these parts are malfunctioning and does not do its job properly, problems will arise over time. If you suspect that your car AC may be broken, inspect the following components. Check to determine if any of the hoses or components are leaking. See if the compressor is turning. When the AC and blower are on but there is no activity in the pulley center, the compressor clutch may not be engaged which could mean several things including a bad fuse or wiring issue. 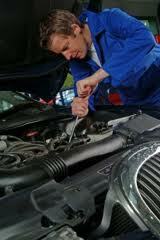 Look for other possible causes which can sometimes be a broken fan belt or a break in the compressor’s seal. It pays to know your car and its systems, and where to go for Marysville, auto air conditioning service as soon as an issue arises. With Conaway Motors, you can rely on excellent service that can repair your car’s air conditioning problem quickly and professionally. Call (425) 905-2424 to schedule your appointment today.